Modern, practical and fun! 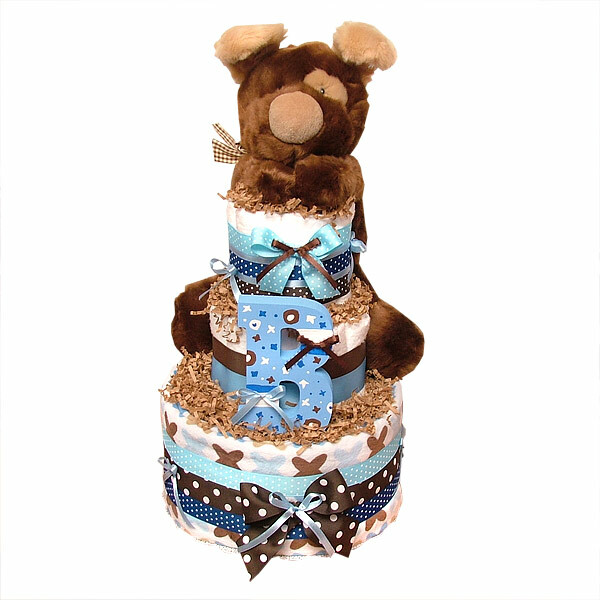 Three tiers Chocolate Playful Puppy Diaper Cake is made of 30-40 Pampers Swaddlers diapers size 1-2 (8-15 lbs. ), One Super Soft blanket (brown inside), One Brown Puppy, Handpainted wooden letter "B" for a BOY and lots of cute bows.